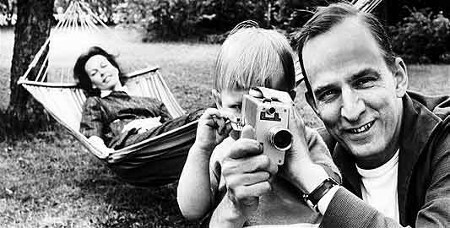 BERGMAN DEAD, Now, only Godard is left! And let us not forget: there were giants in those days! There’s an excellent review in today’s New York Times of the new film by the directors of THE TRIALS OF DARRYL HUNT, which opens today at NWFF. The new film, another SIFF favorite called THE DEVIL CAME ON HORSEBACK, will have a NWFF run later this year, September 21-27. Hey bus riders, Northwest Film Forum has taken the leap to advertising on Metro buses. We are curious to find out if anyone is noticing our posters for Tsars to Stars. Let me know if you have spotted one and which bus route you were riding. For anyone interested in film history, anything by David Jeffers on Siffblog is a must-read. Today, he’s posted a piece on COSMIC VOYAGE, a silent film that will be showing in our TSARS TO STARS series this Saturday at 7 and 8:30pm. To get a sense of the depth and thoroughness of David’s interest in film, consider his research for this posting. Beginning with a silent DVD screener with intertitles in Cyrillic and no English subtitles, David spent an entire weekend trying to install Cyrillic characters onto his computer so he could personally translate the film using online software. When this proved unsuccessful, he hired a Russian translator to make an audio recording of the translation, which he then transcribed to refer to while watching the film. Read with appreciation, and keep an eye out for his future postings. 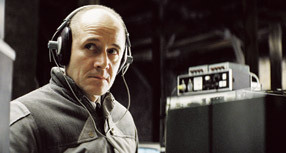 Florian Henckel von Donnersmarck’s THE LIVES OF OTHERS is a remarkable film with a remarkable cast. I appreciated the acting, and looked forward to future performances. Although know little about his past career, I was truly saddened to hear this morning of LIVES’ star Ulrich Mühe‘s passing. He died today of stomach cancer at age 54. The burned out timber and peeling paint of rust-belt America (“Where all local aspiring photographers go to cut their teeth,” as noted by Adam Sekuler, recent Pittsburgh tourist) are ripe for a new breed of urban opportunists and reverent reconnaissance. 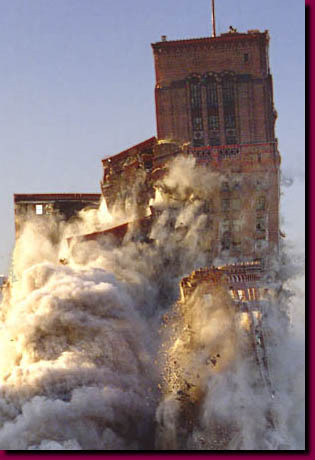 In anticipation of our August 7 program, VANISHING RUINS: VISIONS OF DETROIT, I direct your attention to the perversely appreciative hobby of urban exploration, and these images of apocalyptic Detroit. If you can’t make a pilgrimage to Pittsburgh, Akron, Allentown, or Detroit, come to the screening in veneration of our country’s romantic industrial disintegration. Filmmaker Brent Coughenour will be there, as will many former denizens of cities that once were. A great tragedy of the American West is the automobile’s destruction of nearly all the small towns, bringing ugly and sprawl in equal measures. The only towns that seem to have escaped it are those that never grew much, like Index and Union Gap, Washington. A single ring of commercial buildings surrounding a central park, surrounded by a handful of homes and warehouses, and not much else. In this small town, Ed Marquand and Michael Longyear are building Mighty Tieton, an artists’ community with galleries, condos, and a common gathering hall. The old apple warehouse is large enough to shoot a film in, the surrounding countryside inspiring, and the sun shines nearly every day of the year. Will they succeed? Who knows. But I love their ambition. Although I have never been around women who use the word pork as a verb (and believe me, I have heard salt if not pork), there is veracity in Brady Hall’s depiction of post-adolescent girldom in his film June & July. It isn’t the dialogue in the film that speaks truth but the silent moments, the downcast looks, the sullen expressions, the hopeful upward glances. And the funny parts are funny not just obviously supposed to be funny. Go see June & July. It isn’t perfect but it is sullen yet hopeful and amusing and deserves your attention. We’ve always prided ourselves on the fact that we carry soda in a bottle, not in a can, or dispensed by a fountain. However, for the next two weeks only, Northwest Film Forum is breaking the rule. We’re carrying Buzz Cola in a can, available whenever the cinemas are open. Thank you, and come again!